The Mission: The Covenant control Earth. The Flood is unleashed. 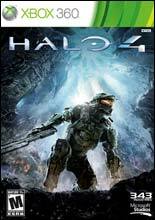 With the fate of the galaxy hanging in the balance, Master Chief is the only one that can save the human race. The entire epic story arc has led up to this moment. 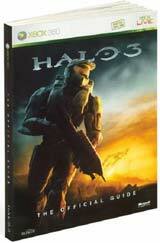 Master Chief, the last of his kind, is a warrior born for combat, bred for war… and humanity's only hope. The Blockbuster Saga Concludes. 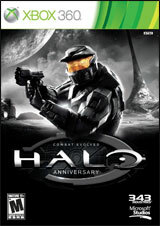 After stowing away on a Forerunner spacecraft, Master Chief, a genetically altered, cybernetically enhanced Spartan supersoldier, must race back to Earth to stop the Covenant once and for all and save mankind. With his artificial intelligence companion Cortana in the grip of the Flood's intelligent embodiment, Gravemind, Master Chief and his allies are vastly outnumbered. But the stakes are too high to do anything but face them head on. A Desperate Enemy: A Desperate War. 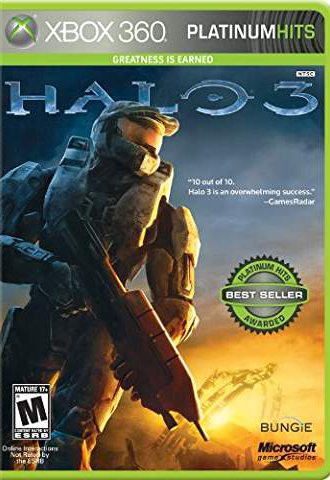 In "Halo 3," the third installment of this legendary epic, the war has come to a climax - the Flood continue to grow in numbers and strength, the armies of Earth are scattered and decimated, and the Covenant threaten to activate the Halo, effectively destroying all life in the galaxy. 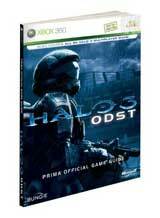 Master Chief's mission: to stop the Covenant, destroy the impending Flood threat and ultimately save mankind. 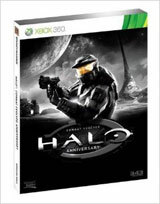 Next-generation experiences: With the power of the Xbox 360, "Halo 3" raises the bar on the next-generation gameplay experience with non-stop action, an incredible story, massive battles, and visually stunning worlds. Stunning single-player action: Epic and compelling storytelling on a scale never before seen in interactive entertainment with new weapons, characters and challenges. 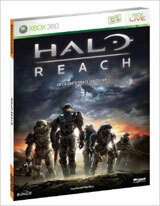 You can experience Master Chief's greatest battle as he transcends greatness and becomes a legend. Xbox LIVE multiplayer redefined: Working in concert with Xbox LIVE on Xbox 360, "Halo 3" builds upon the unique social multiplayer experience of "Halo 2" and promises to enhance the innovative and evolving online gameplay of "Halo 2" on Xbox LIVE. 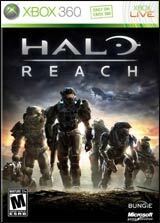 Next-generation, high-definition visuals: Presented in stunning HD, see the well-known "Halo" universe as it's never been seen before. State of the art HDR (High Dynamic Range) lighting makes every scene look and feel like the real thing, from terrifying gloom to dazzling sunshine, adding more detail to every weapon, more texture to every character, and more realism to every battle. Enhanced AI: Countless foes, each with their own distinct personality, strategy and fighting style, make for better encounters and more replay value, which will culminate in larger scale combat than ever before witnessed on the "Halo" battlefield. 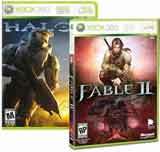 Split-screen support: Staying true to the original games, "Halo 3" will support four player split-screen and system link gameplay, letting gamers battle it out both online via Xbox LIVE or with a group of friends right in their own living rooms. In-depth stat tracking and standings: Made famous as a key component of the renowned "Halo 2" multiplayer experience, Bungie.net will continue to innovate how gamers track their progress, as they view their rankings and stats in real-time. Fully positional Dolby Digital 5.1 surround sound: Duck as a rocket sizzles over head. Take action as the footsteps of a Covenant adversary echo in the distance. 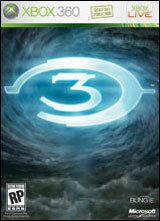 Every sound in "Halo 3" is fully positional, bringing the world of "Halo" to an even more vivid level of realism.